Game 1 of 2018’s State of Origin saw the Mighty NSW Blues destroy the Queensland Maroons 22-12 after they scored the last three tries of the match to seal a come-from-behind victory. still, the results of the first game of a 3 part series, in many fans eyes, count for nothing more than a preliminary spectacle just long enough to decide on what you’ll be drinking for the rest of Origin. That said, for the diehards amongst us, this decision was settled long ago, often at birth with our passionate, loving fathers pouring ice cold lager over our heads as old men in robes or maroon and blue beanies whisper archaic mysteries and footy club theme songs into our ears. Named after Australia’s first brewer, today James Squire is Australia’s largest craft brewery and produces a huge range of interesting beer. We have to stick with their flagship brew and the recipe Squire initially brewed as the Colony’s first beer. After stealing the ingredients, the judge ordered 150 lashes and two barrels of this new ale and thus, 150 Lashes Pale was born. A clean, refreshing, cloudy style Aussie pale ale with fruity hints of passionfruit and citrus from the hop aromas. Who knows, drinking a thief’s brew might help the Blues steal another win. The undisputed sporting heavy weight of NSW, loved by punters across the state for its guilt-free, low carb sessionability and of course, more room for match-day meat pies. 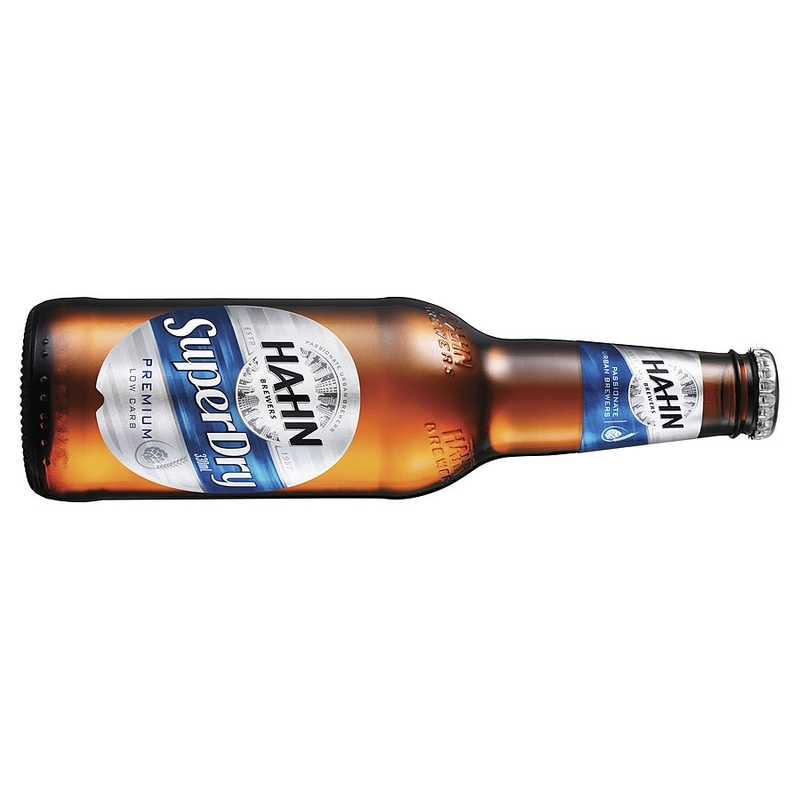 That’s right, Hahn SuperDry is a great low-carb option with 70% less carbs than regular beer and 99.9% sugar-free so you know all those turbos from Sydney (the same humans obsessed with ‘shredding’ for Stereosonic) will be smashing a few for the match this weekend. Don’t be turned off, It still might be the right time for a few clinks with this beer as Hahn is celebrating its 30 year anniversary of the launch of the brand back in 1988, so honour it well. Modus have been turning heads since 2014 when the brewery exploded onto the local and national craft circuit with mind blowing, highly complex and well-balanced ales that have converted many of the traditional NSW lager-heads still stuck on Toohey’s and hipster craft beer snobs alike. Their Sonic Prayer is a hell of beer to have as your “core range” IPA. With a stadium sized dose of American and NZ hops that hit you with a smack of fruity bitterness tougher than a Queenslander’s tackle and German malts bringing a great balance to the experience, we couldn’t fault it. But be warned. At 6% ABV and in these massive cans, they aren’t exactly what we would call ‘sessionable’ for a footy match. This drink is for Sydney’s finest fanciest, which to the rest of us, seems like most of the city… Poor Tom’s is a craft outfit based out of Sydney’s inner western suburbs, entirely dedicated to the alchemy of producing irreverent, unconventional world-class gins. Their Sydney Dry Gin is unlike any other spirit after 10 botanicals are steeped and then distilled to create a very unconventional taste that’s big on strawberry gum and granny smith green apple notes. Are you that one mate, rocking a cocktail while the game is on? Then you’re probably Team Blue. A staple of the Queenslander diet since 1924. Look closely at a can and tell me what colour the X’s are? We think it was most likely referred to as ‘XXXX’ because those feral northerners probably can’t spell ‘beer’. All jokes aside, there’s a reason this lager is still a best seller after almost a century and the sponsored beer of the team. A refreshing golden lager you can feel proud drinking as you watch the the mighty Maroons equal the Origin scoreboard. Well, it is ‘The Beer from Up Here…” You know, the outdoorsman’s beer. Despite being indoors to watch match 2 this weekend, you know where you belong, with a swag and an esky always in the back of your Hilux. Great Northern was brewed with a chilled, easy lifestyle in mind, with its fruity aroma, subtle bitterness, crisp palate and refreshingly dry finish this beer can be enjoyed at any time but tastes best when the Maroons are up on the scoreboard. A fantastic little craft brewery out of Queensland currently killing it with their limited batch seasonal releases, who back it up with a solid core range to boot. 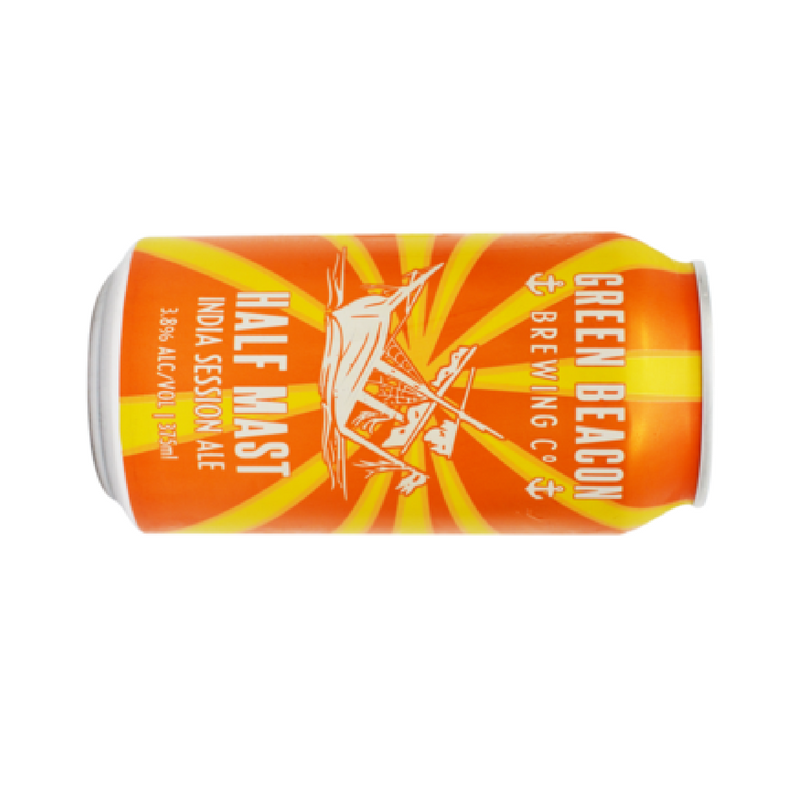 We had to throw the Green Beacon Brewing Co. Half Mast up here not only to rep QLD but to rep a quality session ale. This beer is for all the props amongst us and those shorter than average Queenslanders who pack a whopping punch! This is one of our favourite mid-strength beers at just 3.8% ABV, but you'd never notice because this thing’s brimming with more flavour than the late, great Darrell Eastlake’s passionate Origin commentary. For any northerners within earshot, the choice for a game day spirit seems obvious. But for the undecided spectators amongst us still after reading through this article - pick your next moves very carefully if you’re around any rugby literate company. Are you a cocktail at the bar kind of guy or shots of rum out of a thimble in the sun man? If you answered cocktail then you’ll need to quietly excuse yourself from company, walk outside and burn all your red attire. You’re a blue through and through and should scroll up for the appropriate drink. But if your spirit animal - the mighty Bundy Polar bear is still grinning and giving you the thumbs up when you close you eyes, then pull up a chair and come and sit with us on team red to enjoy some quality Aussie dark rum distilled from good old fashioned QLD sugar cane. A distinctively smooth caramel flavour with subtle hints of sweet toffee and butterscotch notes. Delicious. Kick off is scheduled for 6pm AWST this Saturday 24th June so make sure you’ve got your pick from above, you’re wearing your colours and drinking your drink of choice to support your team and help them over the line.